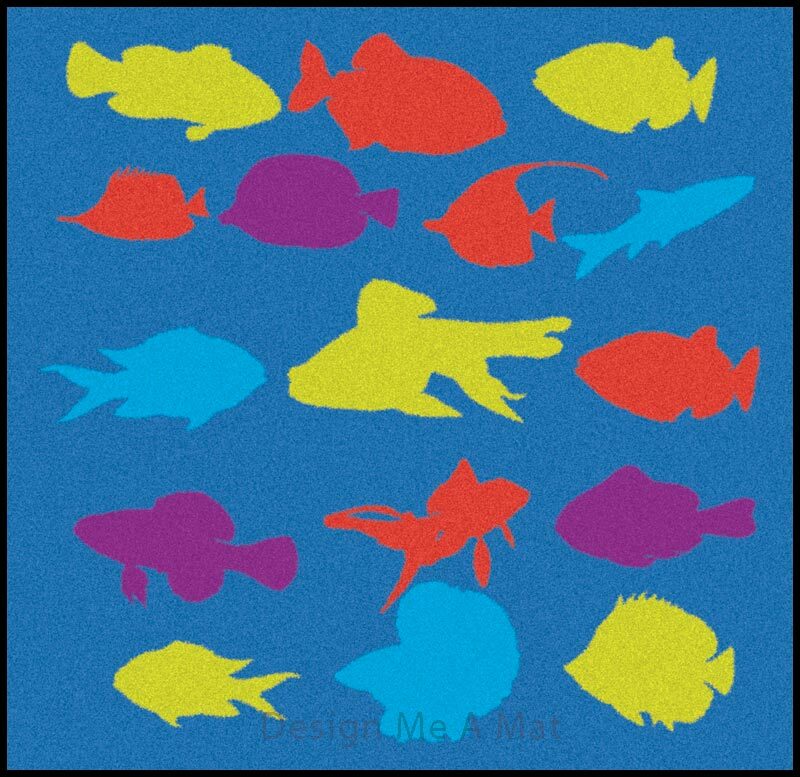 Our Sea Life design mats could be used for Garden Centres, Aquarium Centres, Fishing Tackle Shops or even a chip shop! 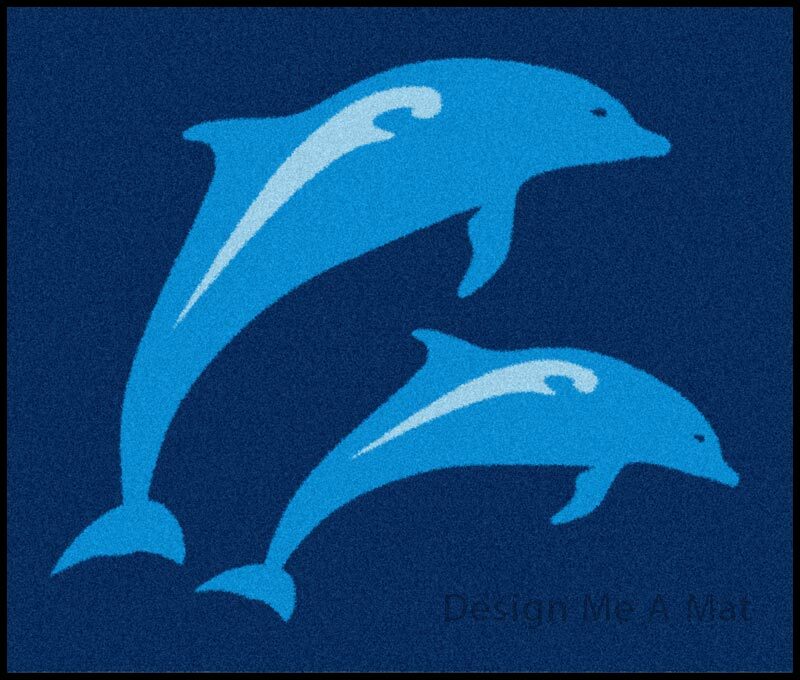 Custom Sizes and different colour options available for most designs. 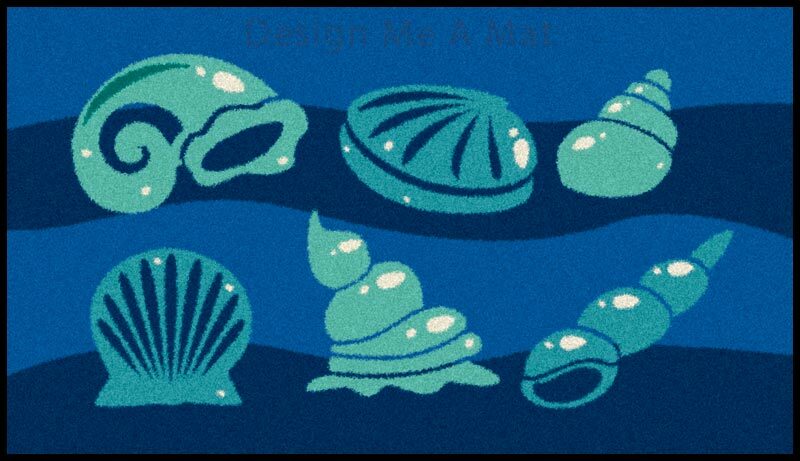 The designs below are just a few examples of sea life or undersea themed mat designs. 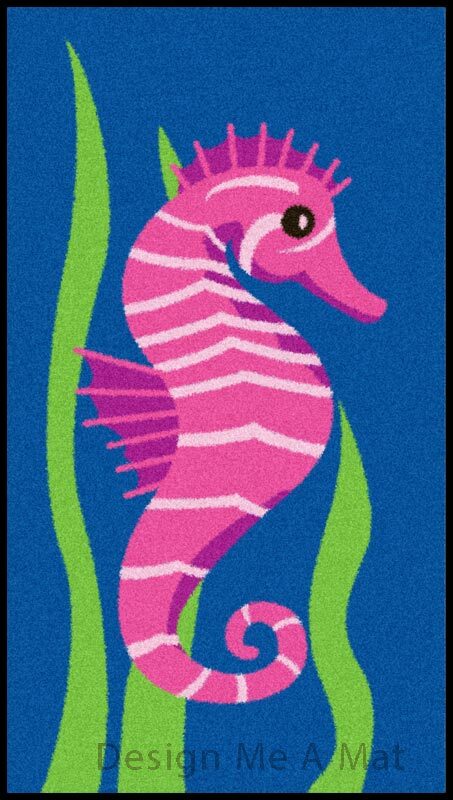 We are also able to produce unique personalised mats at no extra cost. So if you have a design in mind then please send us the artwork through by email below. Firstly we will confirm the total price and then we will draw up the design proof. Then within 24 hours we will send back to you a PDF proof for your approval. 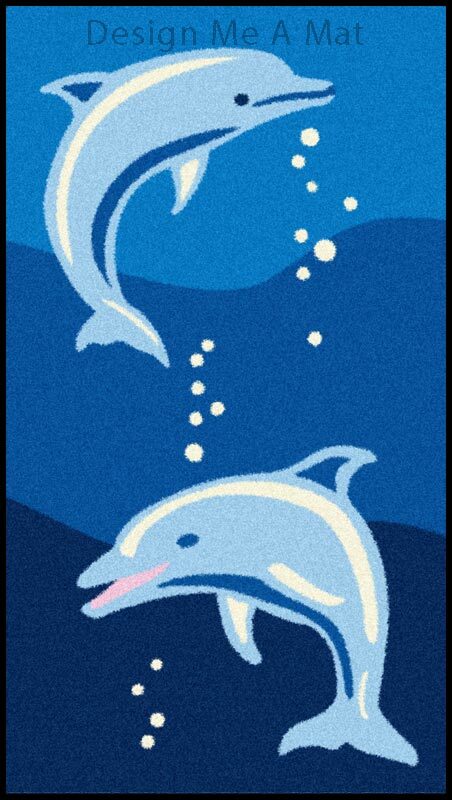 Because our logo mats are designed to be dual purpose dust control mats there will be limitations to the amount of detail that can be printed. So for example we cannot produce photographic quality on these type of mats. But you can see below from the design examples that fantastic results can still be achieved using the vibrant colours from our palette of 53 colours. 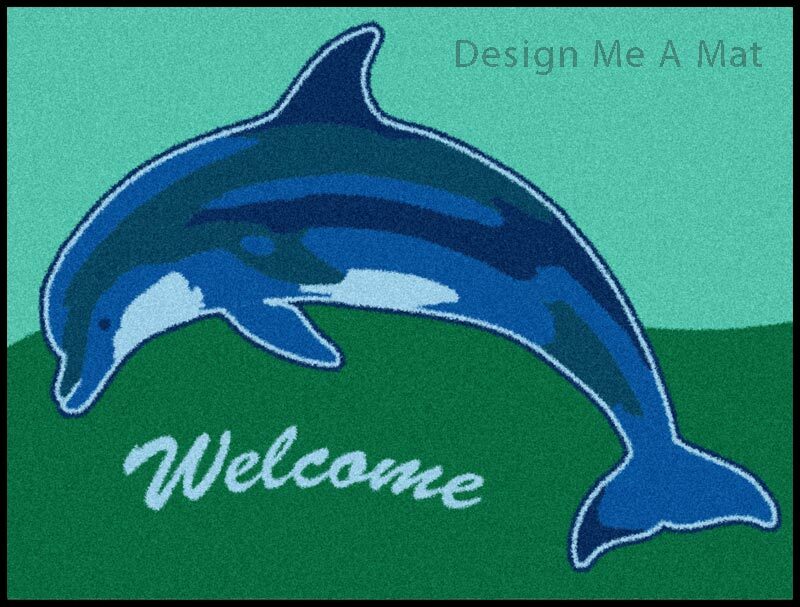 So simply email us your artwork or design and we will do our best to achieve an eye-catching mat design for you. We have to redraw every supplied artwork from scratch to make it comply with our colour palette, so the quality of artwork you supply is not that important. But obviously the better the artwork you provide will make it easier for us to produce the results you want.